Provide comfort for the family of Rita Hesler with a meaningful gesture of sympathy. Rita E. Hesler, 93, of Guilderland, passed away peacefully on Sunday morning February 10th at Ellis Hospital in Schenectady, NY, surrounded by her three sons. Born and educated in Albany, Rita was the daughter of the late Dominic and Elizabeth (Rosch) Padula and was a graduate of Albany High School. Starting out in banking in Downtown Albany, she finished her career as Secretary in the District Offices for Guilderland Central Schools for over 15 years. Rita was also a docent for many years at the Albany Institute of History and Art. She was a member of St. Madeleine Sophie Church in Guilderland. Rita loved to read, play bridge, spend time with her sons and most of all, be with her beloved husband Tom. Rita and Tom enjoyed many cruises together, along with their yearly wedding anniversary trips to Cape Cod. Predeceased on February 14, 2018 by her husband Thomas Hesler, Rita is survived by her sons: Mark T. Hesler (Gretchen) of Franconia, NH, Jeffrey M. Hesler (Phyllis Quimby) of Rotterdam and Thomas B. Hesler of Guilderland and her grandchildren: Madeleine Hesler, Katherine Hesler, Samantha Hesler, Matthew Hesler, Thomas Hesler, Eryn Hesler and many nieces and nephews. Funeral services will be held on Thursday February 21st at 9:15 am at Bond Funeral Home, Broadway & Guilderland Ave, Schenectady NY followed at 10 am at St. Madeleine Sophie Church, 3500 Carman Road, Schenectady, NY where a mass of Christian Burial will be celebrated. Friends and relatives may call on Wednesday evening February 20th from 5 to 7 pm at the Funeral Home. In lieu of flowers contributions may be made in Rita's memory to St. Madeleine Sophie Church. 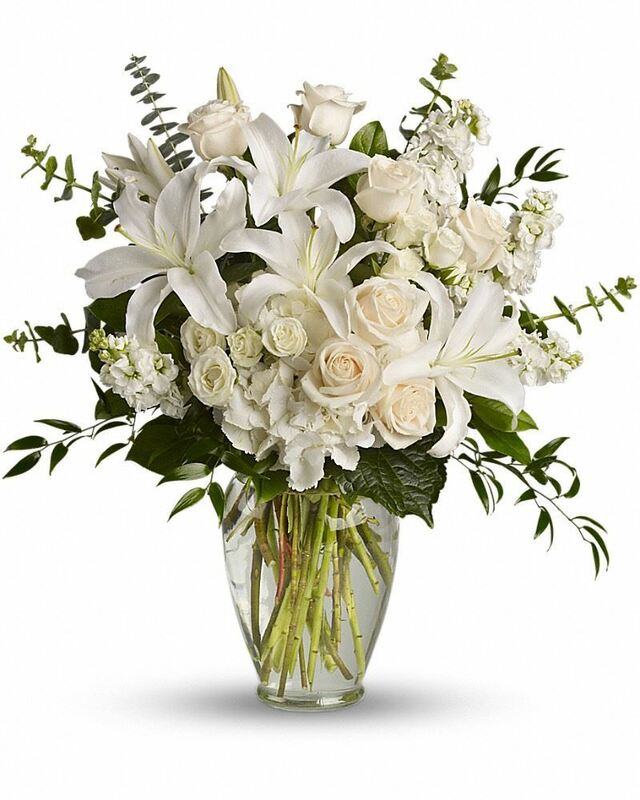 The Gaitskills sent flowers to the family of Rita E. Hesler (Padula). We hope your memories bring you some comfort during this difficult time. The Gaitskills purchased the Dreams from the Heart Bouquet for the family of Rita Hesler.